MDHA’s Board of Commissioners today approved the Selection Committee’s recommendation for commercial redevelopment at Rolling Mill Hill, which includes an affordable housing component. MDHA received 10 proposals between September 25, 2015 to January 14, 2016 for parcels I, J and K at Rolling Mill Hill. The Selection Committee, made up of five individuals, was assembled to evaluate the proposals against the criteria set forth in the RFP. After close evaluation of the written proposals and two rounds of interviews with the development teams, the Selection Committee concluded that the proposals from Eakin Partners, LLC and Stiles & Hensler Development Group, LLC for parcels I and K, respectively, best exemplified the objectives set forth in the RFP as well as the long-term vision for Rolling Mill Hill. 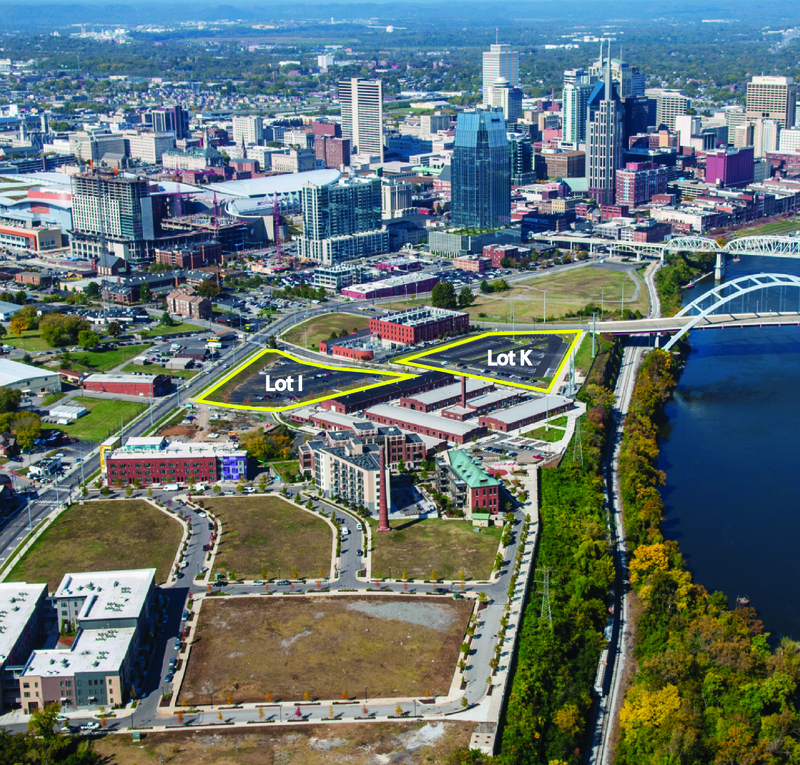 “Both teams have a depth of local experience in the Nashville market and have the proven capacity to implement their shared vision for the two sites,” said MDHA Board Vice Chair for Development Jimmy Granbery, who served as the Selection Committee’s Chair. Eakin Development Partners proposes developing a 180,000 square foot mixed-use building, primarily comprised of Class-A office with a retail base, and a pocket park on Lot I. Hensler Development Group is proposing a mixed-use program for lot K featuring a high-rise residential tower. The Selection Committee was comprised of Granbery, Habitat for Humanity of Greater Nashville CEO Danny Herron, Mayor’s Director of Infrastructure Mark Sturtevant, MDHA Deputy Executive Director Jim Thiltgen and MDHA Director of Affordable Housing Will Biggs. In 2003, the city saw the potential of transforming Rolling Mill Hill into a Nashville model for smart growth. In order to achieve the goals set forth in the 2003 Master Plan, MDHA has both self-developed and entered into partnerships with private developers to deliver 540 units of housing in six buildings through new construction and adaptive reuse in order to achieve the goals set forth in the 2003 Master Plan. MDHA self-developed two affordable housing projects on site, which consist of 169 total units. The site also includes 89,000 square feet of commercial space, which is home to several tenants including The Center for Nonprofit Management, Hands On Nashville, Emma, The Nashville Entrepreneur Center, Centric Architecture and a restaurant/social gathering space known as Pinewood Social.